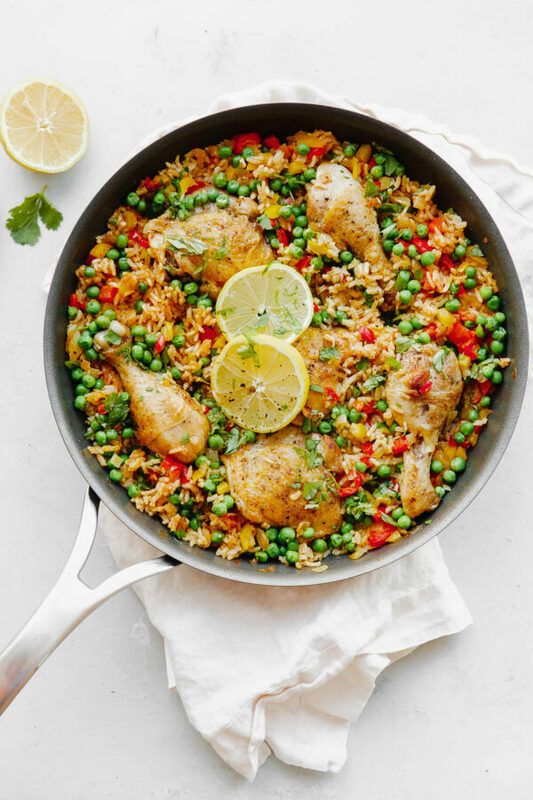 Arroz con pollo is an easy, comforting ONE pot meal that comes together in less than 45 minutes. This classic Spanish and Latin American dish is made with rice, chicken, bell peppers, onions, and spices. 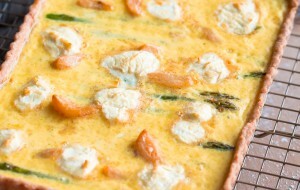 This post was created in partnership with Anolon® and Williams Sonoma. Happy 2018! Hope you all had a wonderful holiday season with your family and friends. I’ve spent the past two weeks spending quality time with family, unplugging and recharging, organizing our apartment, and experimenting in the kitchen. With that said, I’m excited to be back in this space with you! 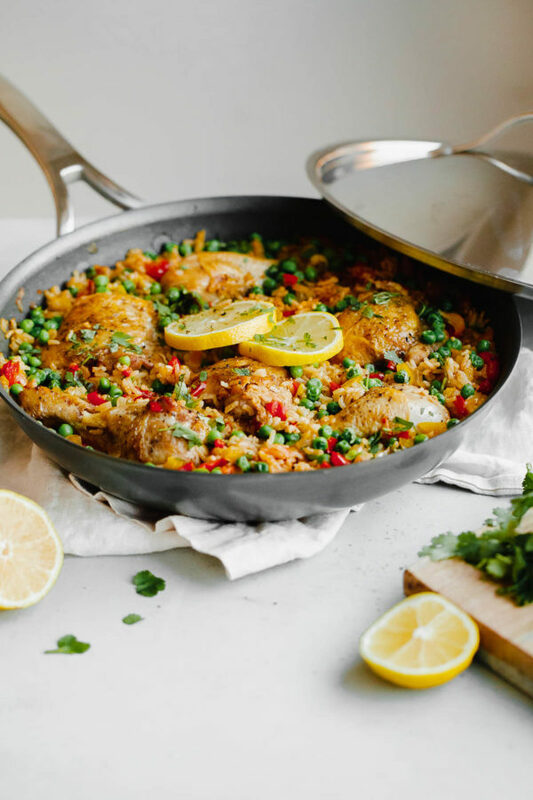 We’re starting the new year off with one of my all-time favorite one pot meals: arroz con pollo. Rice with chicken. One of my goals in 2018 is to get back to basics and bring you more easy and inspired (and old favorites!) weeknight dinner recipes. Lots of dinner recipes (or…as many as I can muster). Classic arroz con pollo was one of the first dishes that sprang to mind. My mom used to make this for us when we were growing up and my love for it grows every year. It is pure comfort food and incredibly easy to boot. 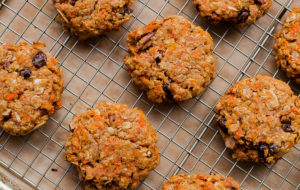 Flavorful, quick to prepare, and best of all, it requires only a handful of everyday ingredients. 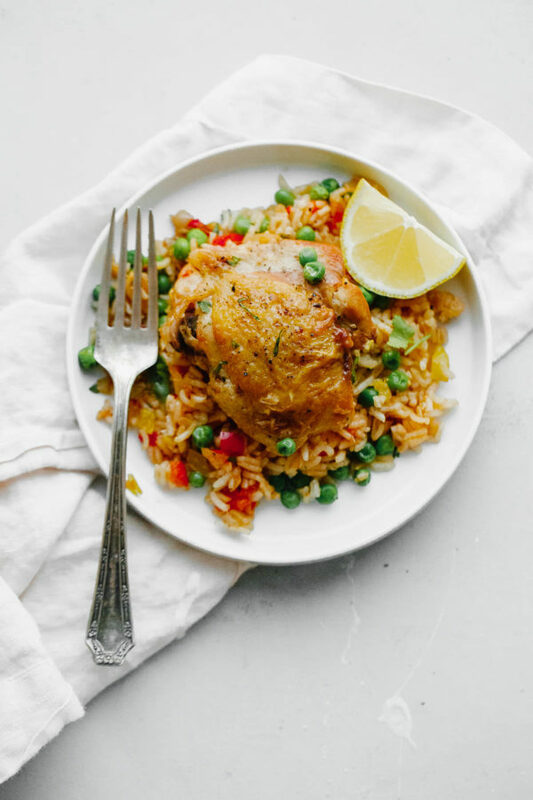 We like to make arroz con pollo all year long – it is one of those meals that is always on rotation – but it’s especially comforting on days when the temperature drops below freezing. And, oh boy, we’ve had a lot of those lately. The first, and arguably most important, step in any good arroz con pollo recipe is to season and properly sear the chicken pieces. In order to achieve this, you’ll want to use a large, high-quality non-stick skillet. For today’s recipe, I’ve teamed up with Williams Sonoma and Anolon® to showcase their new collection of Nouvelle Copper Hard-Anondized Cookware. This new cookware boasts a 5-layer combination copper and stainless steel base, which is extra thick and compatible with all cooktops, including induction. 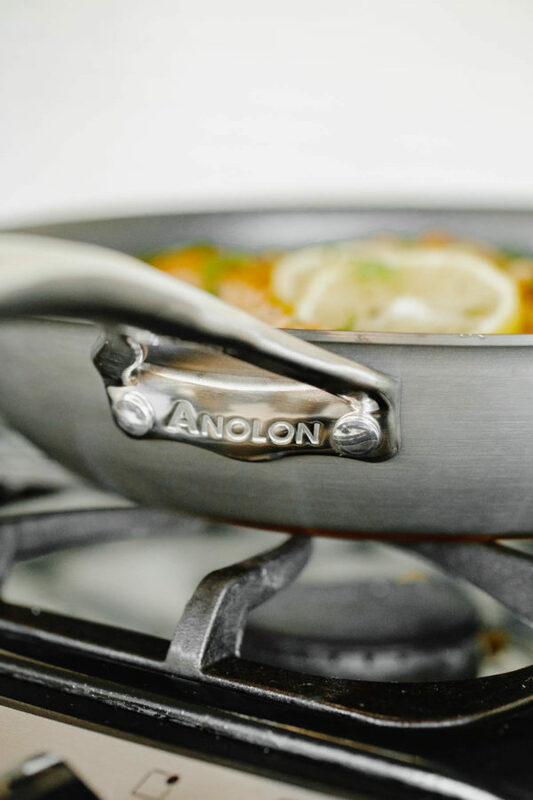 The signature hard-anodized exterior, unique to Anolon’s cookware, is scratch resistant and twice as strong as stainless steel, which means these pans can hold up to a lot. The unique copper layer helps provide superior heat conduction – copper is vastly superior to stainless steel in this regard – and even heat distribution across the surface of each pan. Each pan offers stay-cool stainless steel handles and is oven safe to 500 degrees Fahrenheit. The three layer non-stick surface is also PFOA-free (so important to me!) and metal utensil safe (huge bonus). This is essential for recipes such as arroz con pollo, which require precise temperature control. The fast heat conduction allows you to achieve an even golden sear on the chicken pieces (color is flavor). The extra thick, heavy base and heat-locking, domed lid provides evenly distributed heat as you finish cooking the rice, vegetables, and chicken over a very low simmer. The non-stick surface ensures easy clean up and zero sticking (if you’ve scrubbed cooked rice off of a stainless steel pot, you’ve felt my pain). You can even serve this dish straight out of the skillet if you wish! I’ve been testing and trying out this new cookware set for the past month and been loving them. I say this as someone that’s new to Anolon cookware and admittedly very, very picky. Not only do they preform beautifully on my stovetop, these pans are insanely easy to clean. Like, crazy easy. One of my favorite features is the deep lids and flush rivets on the inside of each of these pans. This unique feature makes clean-up even faster and allows them to be stacked, which is very helpful if you’re tight on kitchen space. 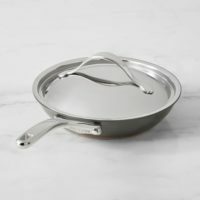 If you’re in need of some great cookware (or specifically in need of some great non-stick pans! ), I highly highly recommend checking out Anolon’s Copper Nouvelle set. You can read more about it here. 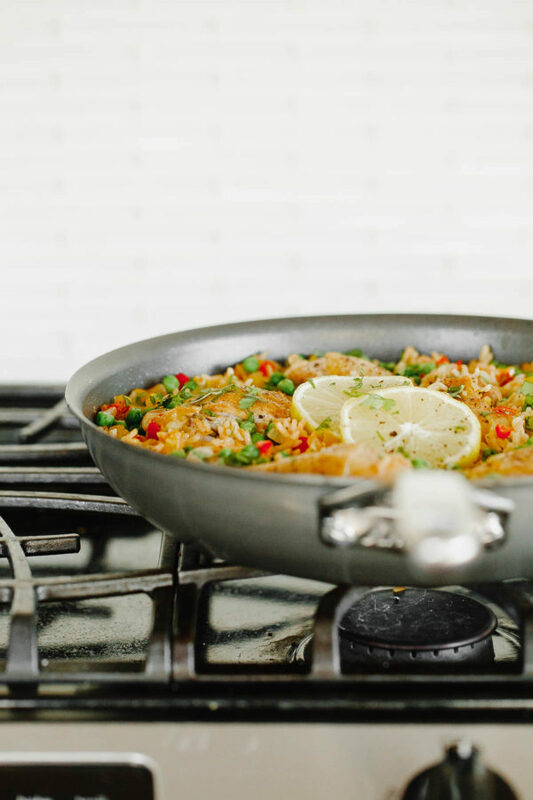 In the meantime, let’s talk a bit more about today’s arroz con pollo recipe. 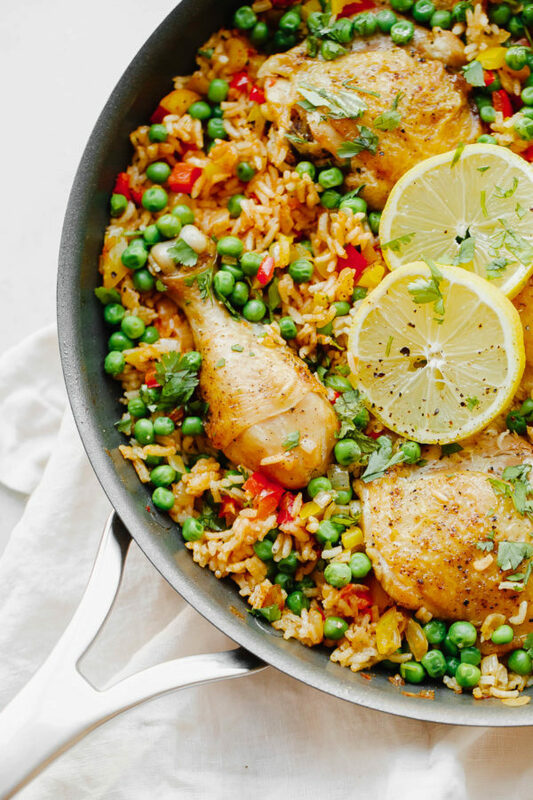 Admittedly, there are many variations of arroz con pollo out there. 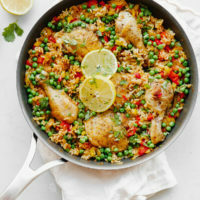 Traditionally, arroz con pollo is a Spanish or Latin American dish made with rice, chicken, bell peppers, onions, tomato, and various spices. 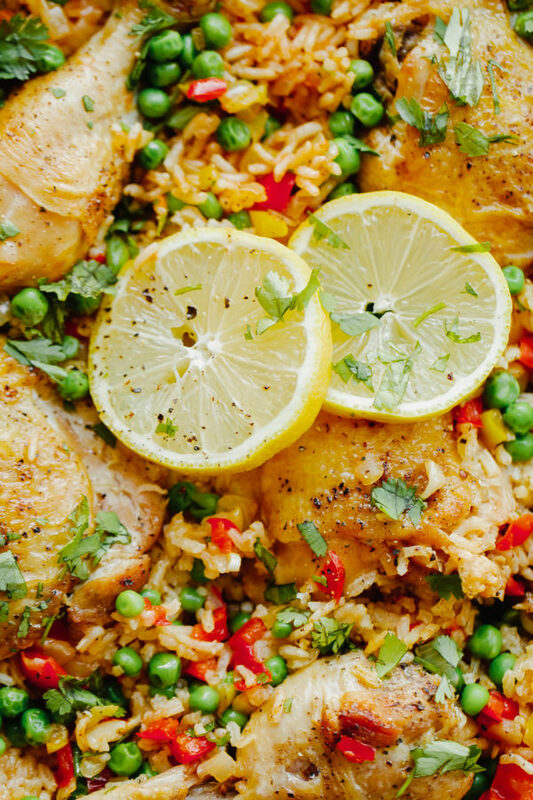 Some varieties of arroz con pollo include saffron, but I chose to skip it this time. While my recipe is not super traditional by any means, it does stick to the basics. My version gets its flavor from seared bone-in chicken thighs and drumsticks, sautéed onions and peppers, garlic, tomato paste (in lieu of canned chopped tomatoes), and my go-to spice mixture of cumin powder, garlic powder, and a touch of cayenne pepper. The cayenne is not traditional, but I love the touch of heat that it offers. In the final step of cooking, I like to add in frozen peas for some added texture and color. My last step is to sprinkle the dish with a generous handful of chopped cilantro and serve it with fresh lemon wedges. It sounds inconsequential, but a touch of acidity helps round out the flavors and bring this dish to another level. 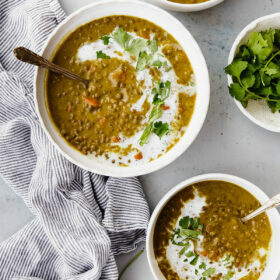 If you’re looking for your next cozy winter meal, give this one a try! 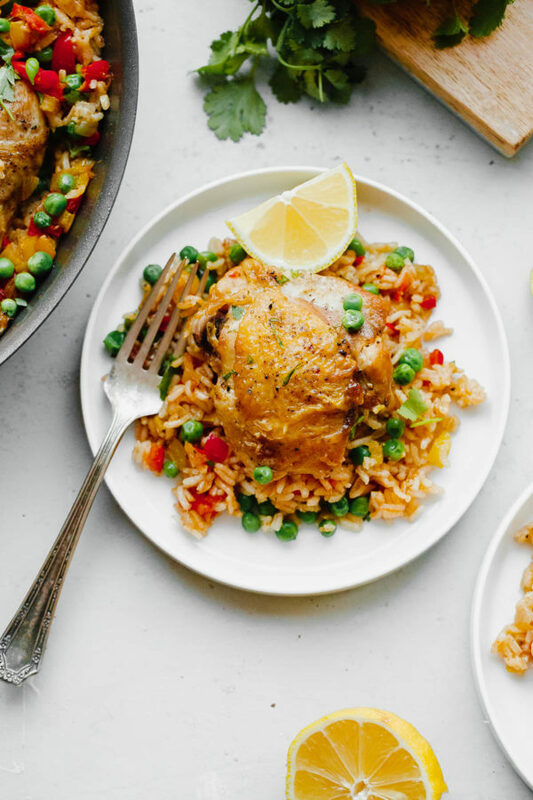 Arroz con pollo is an easy, comforting one pot meal that comes together in less than 45 minutes. This classic Spanish and Latin American dish is made with rice, chicken, bell peppers, onions, and spices. I like to add a touch of cayenne for spice, and finish the whole dish with a sprinkling of lemon juice and fresh cilantro for freshness! Pat the chicken dry with paper towels. Season the chicken thighs and drumsticks generously with kosher salt and black pepper. Heat the olive oil in a large, non-stick skillet (12-inch diameter) over medium-high heat. Add the chicken pieces, skin-side down, and cook for 5-7 minutes or until golden brown. Avoid over-crowding the pan; cook in batches if necessary. Flip the chicken pieces and continue cooking until all sides are evenly browned. Transfer the chicken to a large plate and set aside. Using the reserved fat, add the onions and bell peppers to the skillet. 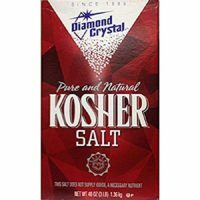 Sprinkle with 1/2 teaspoon kosher salt (*I use Diamond Crystal brand, which is less dense than other varieties of kosher salt). Sauté for 6 to 8 minutes over medium heat, stirring frequently, or until the vegetables begin to soften. Add the garlic, spice mixture, and tomato paste to the pan. Stir to combine. Cook for an additional minute or until fragrant. Stir in the rice and toast, stirring continuously for 15 to 30 seconds. Using a spoon, roughly spread the rice mixture into an even layer. Distribute the browned chicken pieces, along with any juices, over the rice mixture. Pour in the chicken broth. Bring liquid to a high simmer, cover tightly with a lid, and cook for 22 to 25 minutes or until the rice has absorbed the liquid fully and the chicken is cooked through. Uncover and sprinkle the frozen peas in an even layer. Remove the pan from the heat, cover once again, and allow the mixture to sit for an additional 5 minutes or so. The residual heat will allow the peas to defrost and warm through. 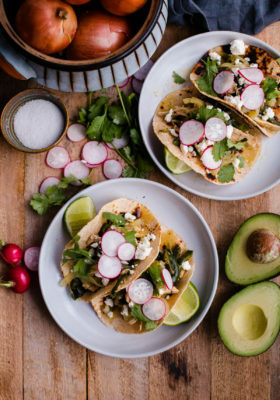 Garnish with chopped cilantro and serve with wedges of fresh lemon. Serve immediately. Depending on the brand of rice that you use, the amount of chicken broth might vary slightly. Look to the package instructions to see the recommended ratio. I prefer to err on the side of slightly less broth, as in this recipe, since the remaining ingredients provide added moisture during cooking. I like to use a combination of bone-in, skin-on chicken drumsticks and thighs – feel free to use only drumsticks or thighs, depending on your preference. Bone-in cut chicken offers better flavor than chicken breasts, which will dry out quickly for this preparation. Leaving the skin on provides a great surface for searing and helps keep the chicken extra moist during cooking. This post is sponsored by Anolon® and Williams Sonoma. Thank you for supporting brands I love and use in my own kitchen! A few affiliate links are included above. If you purchase an item using these links, I will receive a small commission. Those pans look nice and the chicken looks SPECTACULAR! I have this on the stove cooking right now! Smells good! I hope you liked it!!! This looks amazing! For some reason I stopped receiving your weekly posts. It hit me today that I had not seen one in a while – things were so crazy that I guess I did not realize it but I did today. 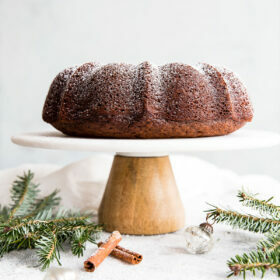 I went to your website and saw that I missed the gingerbread bunt cake and we are so into gingerbread lately so will be trying this soon. Also missed the almond cookies but love the tips as I am a cookie fanatic at Christmas and all year. 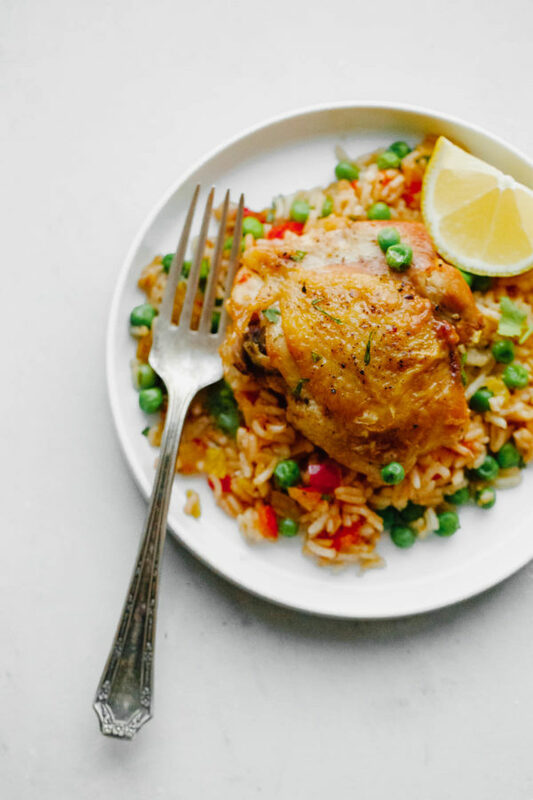 This arroz con pollo looks so comforting as we are having cold weather in New England. So I signed up again and look forward to the posts again. Thanks and happy 2018. Yes! I really love the balance that it adds to this dish. Made this last night for dinner. It was very good. Thanks for sharing the recipe. So happy to hear that! Thank you Jane! I would like to make this recipe with brown rice so how would that work? Brown rice takes significantly longer to cook (basically double or longer), so unfortunately it’s just not as well suited to this dish. The chicken is more likely to be overcooked by the time the rice is tender. However, I do think a parboiled brown rice could work! Please let me know if you try this method. Thanks! 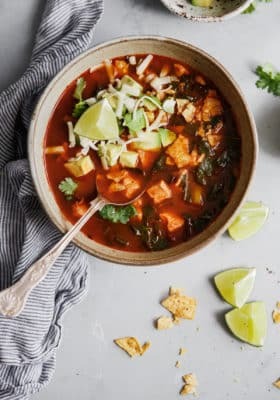 this was so easy and delicioso, I made it…love the spicy kick!!!! So glad you enjoyed it! Thanks so much for leaving your feedback! This came out beautifully, so simple and delicious. I seasoned my chicken with a packet of Sazon and added a 1/4 cup of jarred salsa to the rice before adding broth. I baked the skillet in the oven at 375 for 25 minutes instead of stovetop, I always get worried about burning the bottom of the pan when doing rice with stovetop preparations. Otherwise I followed exactly. Excellent recipe, thank you.